When you are creating a podcast episode on Pippa, you can schedule it to be published at a later date. 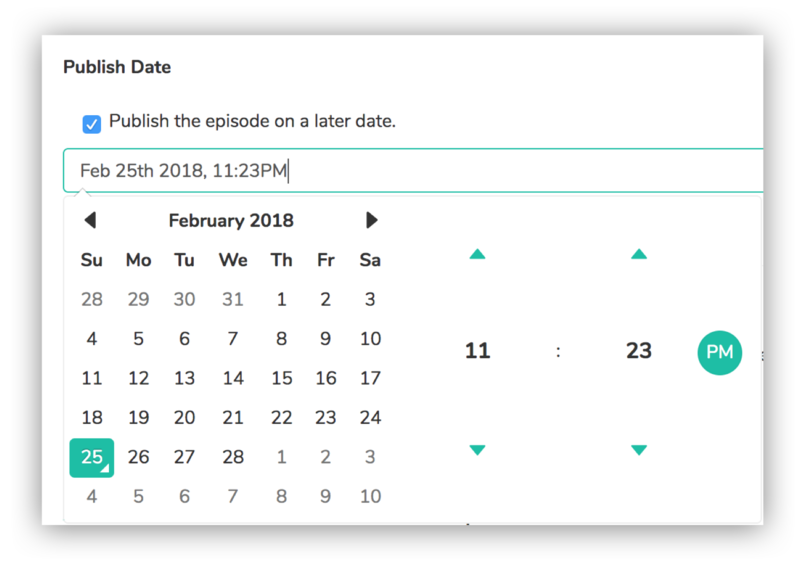 In the New Episode form, you will see a section called Publish Date. 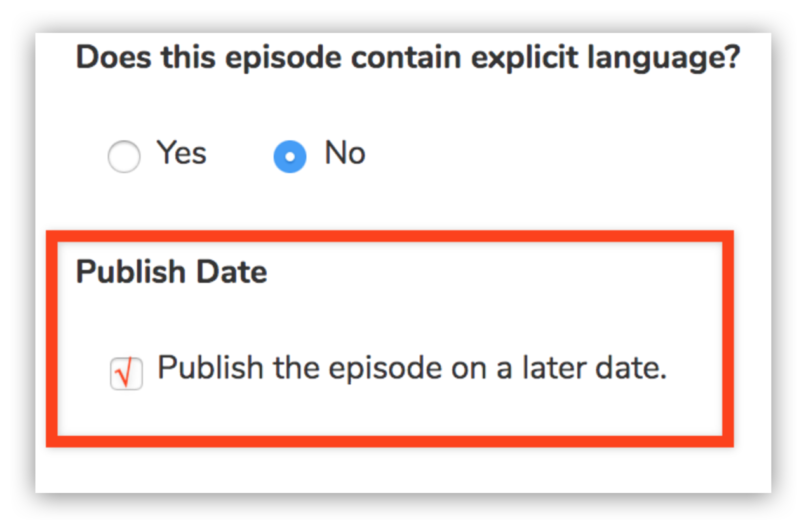 Simply check the box, and set the date and time you want the episode to be published. Note: Your time zone is your computer's local time zone. Pro tip: If for some reason you want to back-date an episode, you can schedule it for publication in the past. It will then be published immediately after you save, and will appear in your RSS feed in the 'chronological' order of publishing (i.e. as if you had really published it at that time in the past).